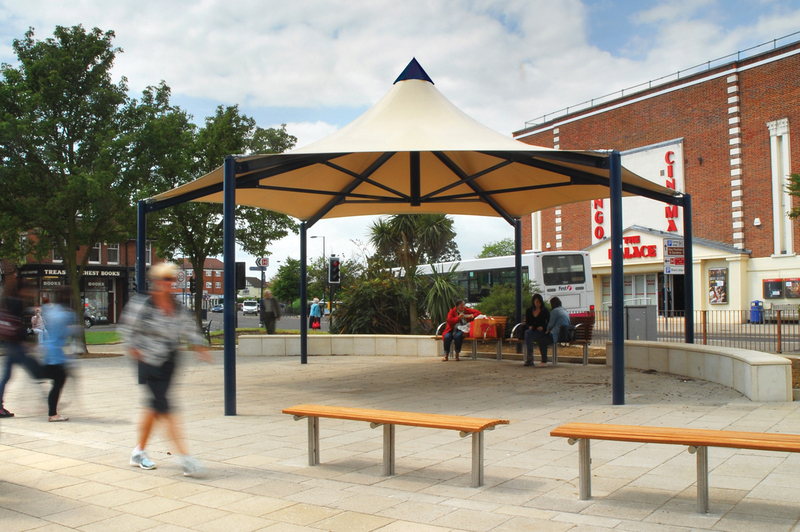 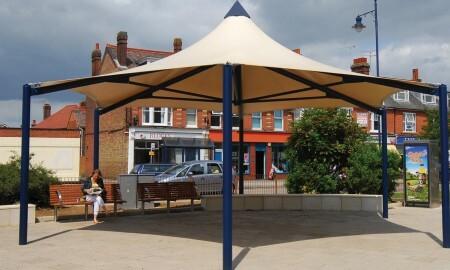 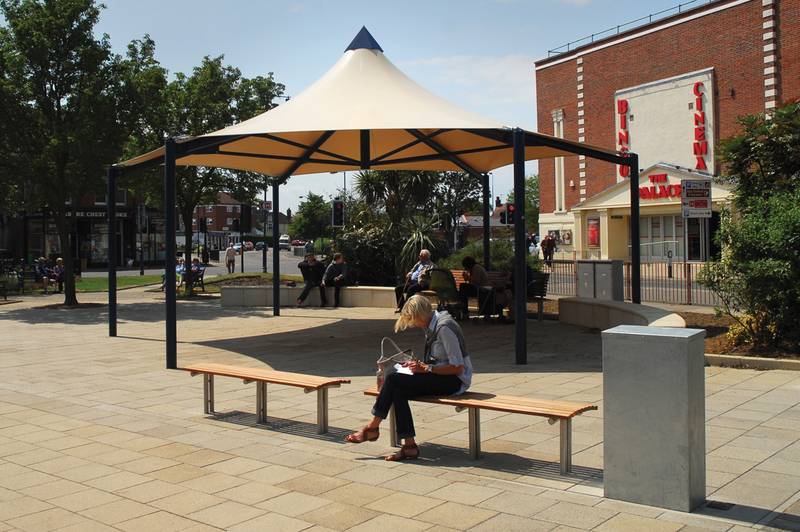 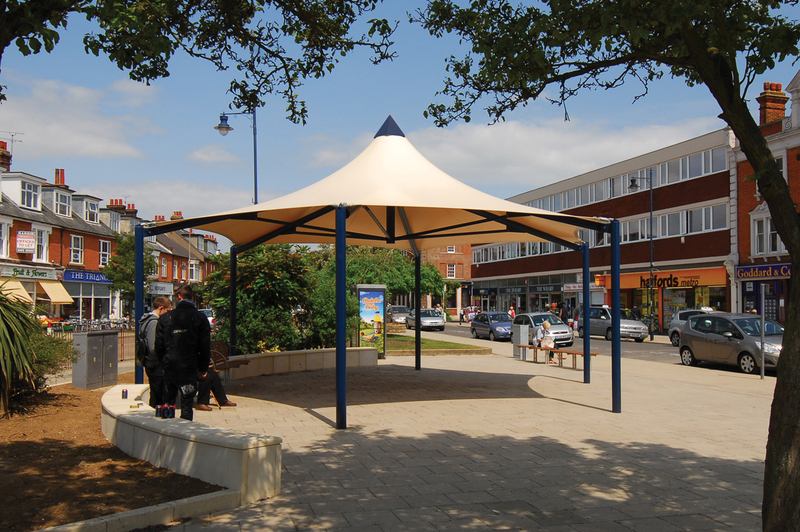 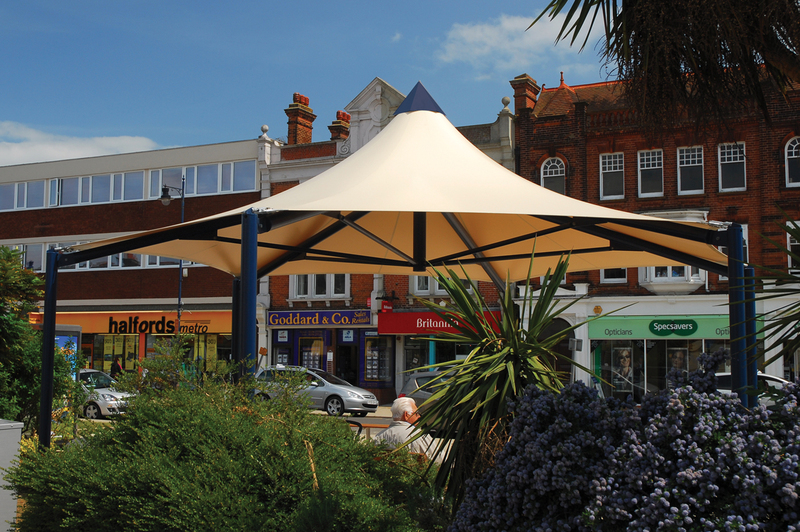 This 9 metre Gazebo was installed at the Crescent Triangle in Felixstowe for Suffolk Coastal District Council as part of their town centre regeneration. 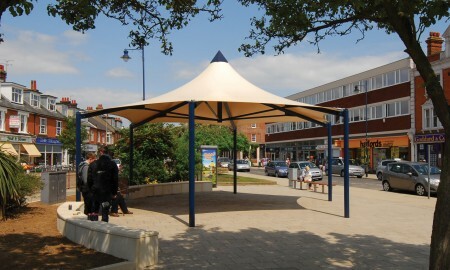 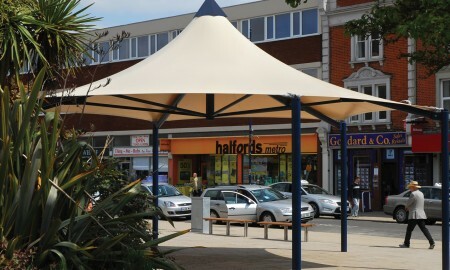 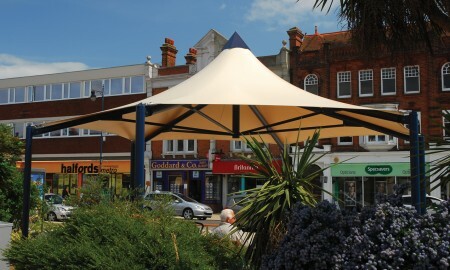 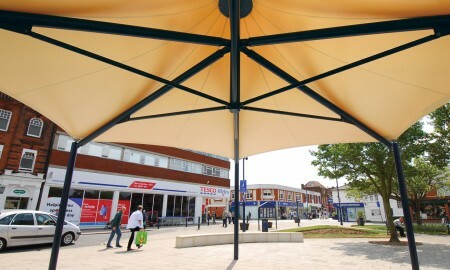 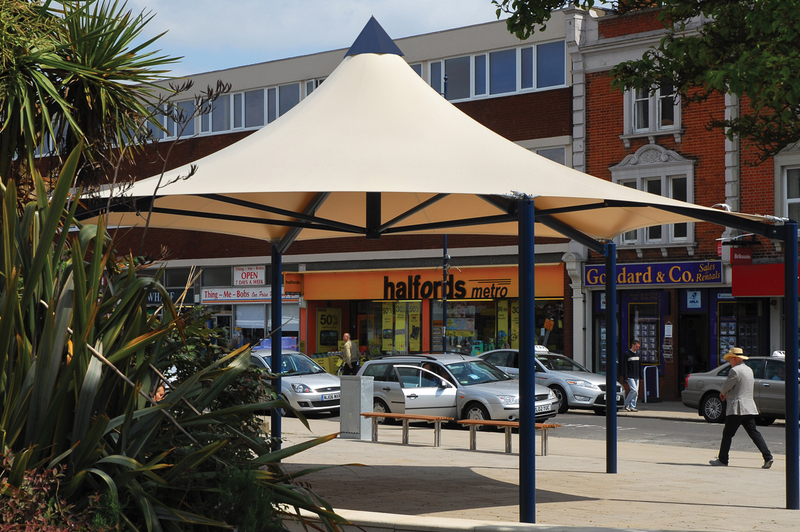 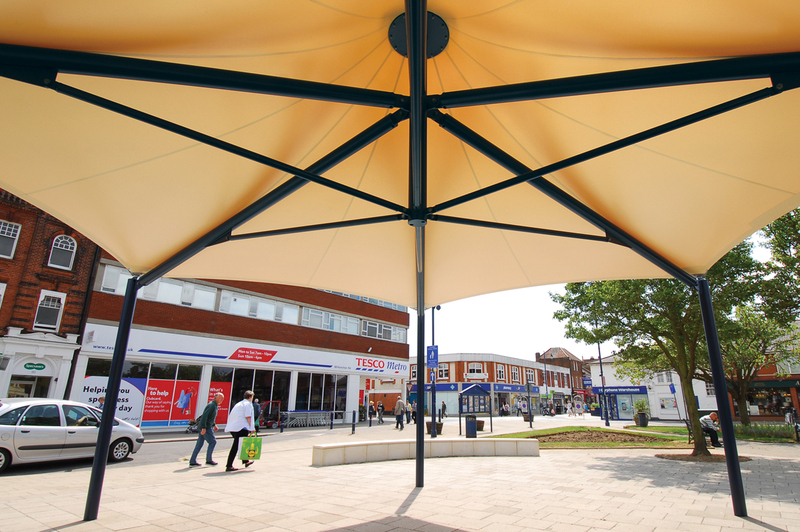 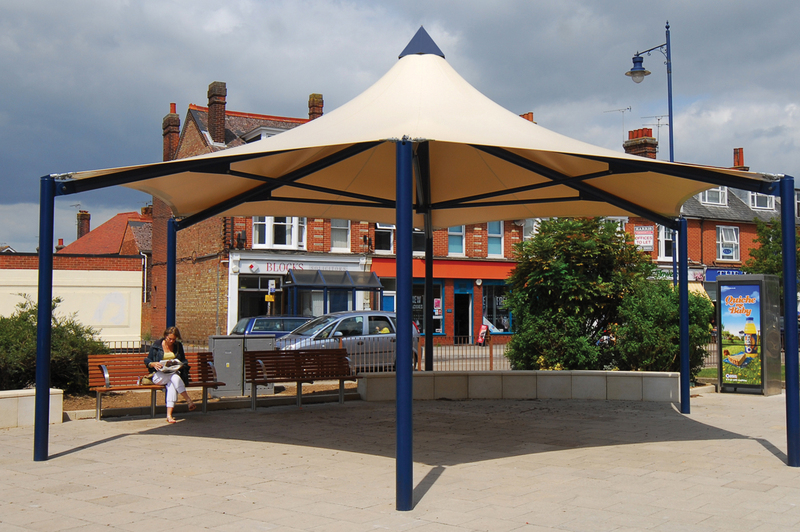 This large waterproof shade structure was installed in a busy town centre with minimal disruption to the public. 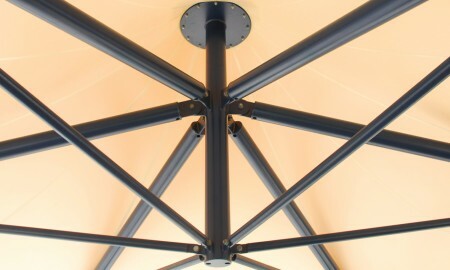 Built to withstand 110mph winds due the coastal location where high winds and adverse weather conditions are common. 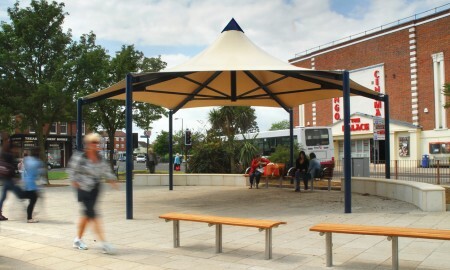 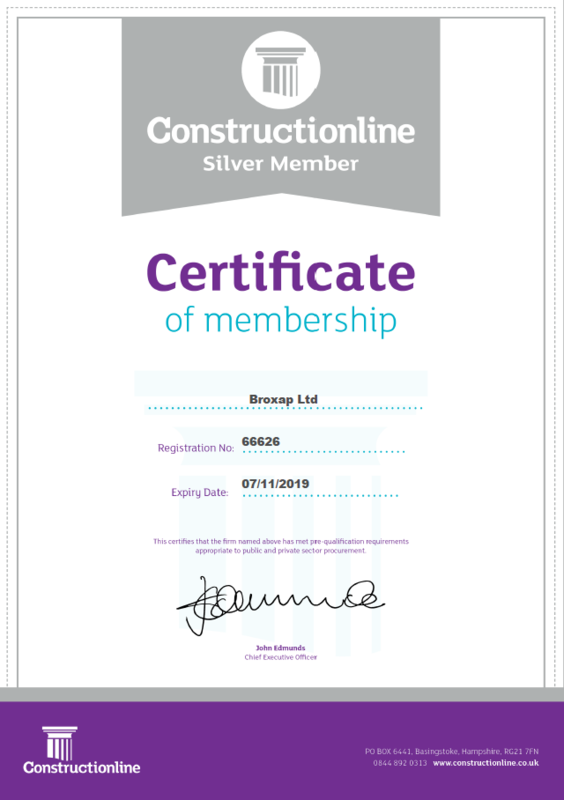 The steel structure is galvanised and powder coated to prevent deterioration from the weather. 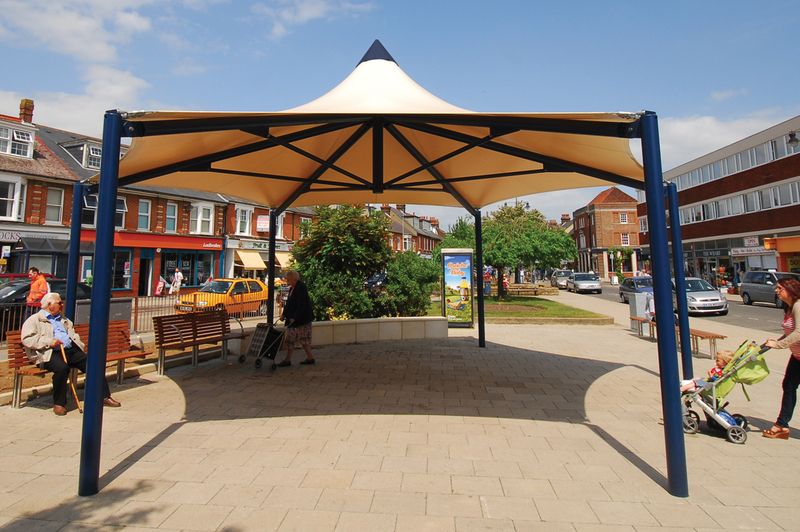 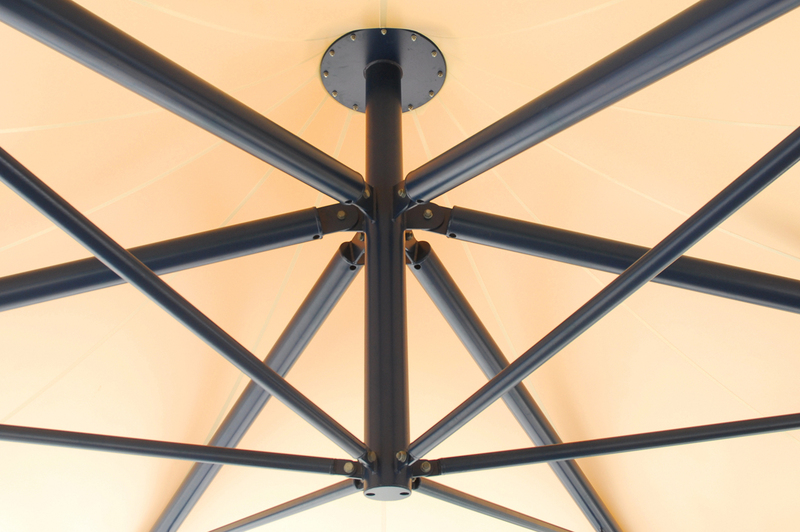 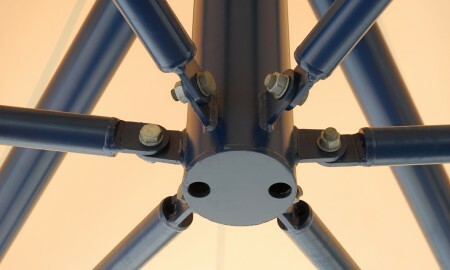 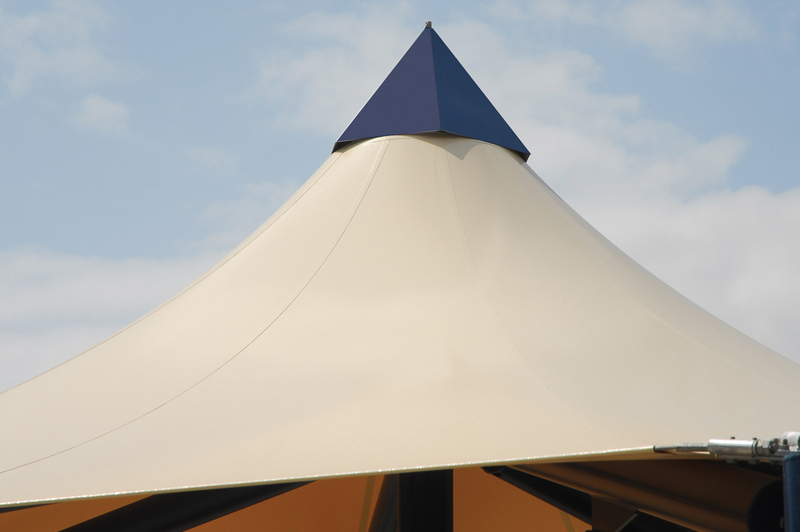 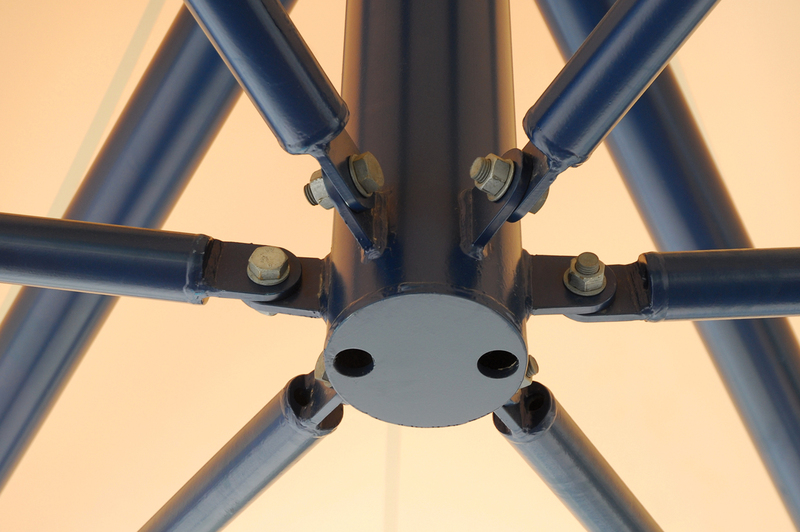 The canopy roof is constructed of waterproof PVC membrane and all tensioned using grade 316 stainless steel fixings. 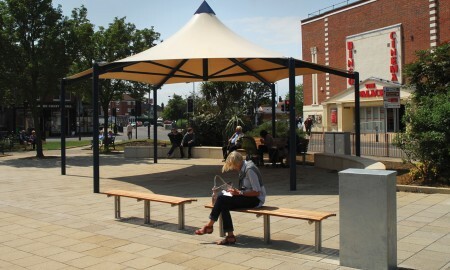 Broxap also provided the range of stainless steel and timber slatted contemporary seating to sit beneath the structure.